As technology progresses, so does the way that we interact with our software. The UIs of our apps are becoming more iconic. Interesting really, as humankind began communicating through drawings on cave walls (sometime before last Thursday). So, ironically, as the tech becomes more sophisticated, our interaction with it is becoming more simplified. We’ve gone full circle, in a way. And that’s what makes Daisy Disk’s approach so intuitive. I first heard of Daisy Disk on a podcast. Andy Inhatko explained how it saved his bacon when he was running out of HDD space when on the road. Andy knows best, so, I thought I’d give it a bash. The layout is dead simple. Your disk(s) is laid out in the shape of a daisy wheel. Different categories of files are assigned different colors. And within those colors are sections, representing different file groupings in that category. Sounds intricate, but look at the graphic below. As you click in the view/sidebar on the right, you are presented with a representation of the sectors, and they’re groupings, within your selected disk. As you hover over a griping, all of its files are then displayed in the right sidebar with the corresponding amount of space they take up. Once you have found the files or folders that you wish to dispose of, drag them down to the bottom left hand corner of the screen to delete them. Easy? I like to refer to apps such as Daisy Disk as an electronic paper clip. because it’s indispensable. The layout is so intuitive, which is perfect if you’re in a rush or have to meet a deadline. You simply look for the biggest sector, check its contents, and either dispose of certain files or delete the entire sector. When you have more time to spend, then you can drill down to see how much more HDD space you can recover. I’m currently trying to construct an über-iTunes library. My films, music, and videos are on smaller libraries scattered about different disks. Daisy Disk has made culling that content a breeze. I don’t even want to think about how much time that I would have consumed going through folders manually! 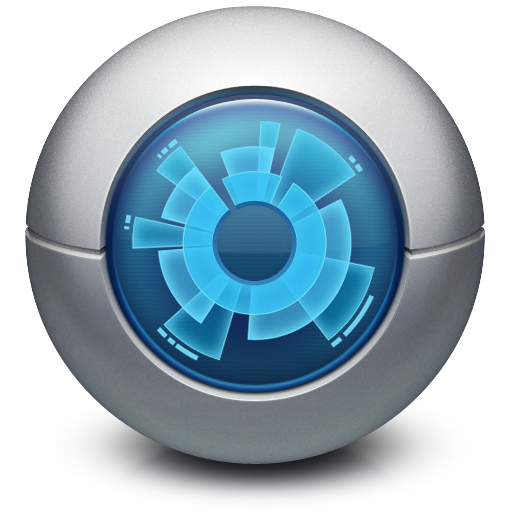 Daisy Disk is one of those toolbox essentials. My head hurts thinking of the wasted time my old workflow (more of a slime, actually). But don’t be mistaken. 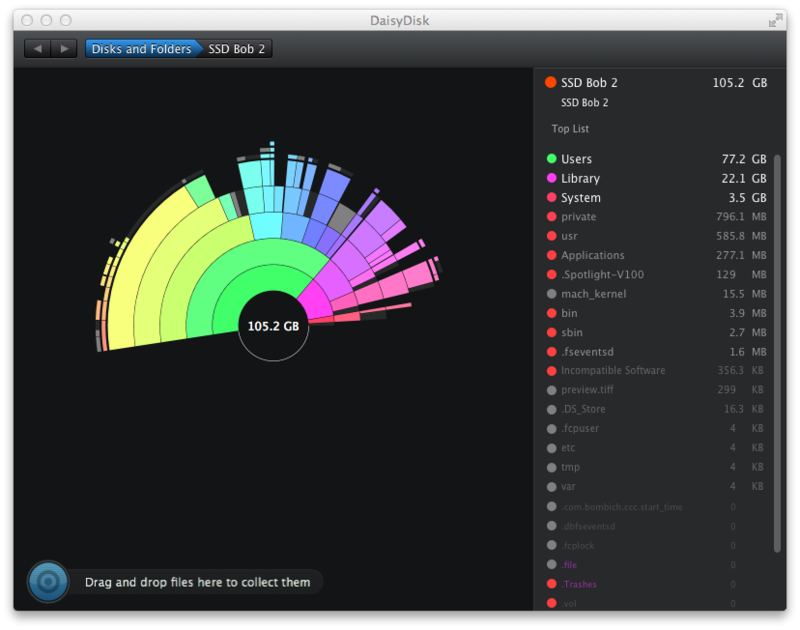 Daisy Disk is not only useful if you have a multitude of HDDs. If you have, say, an 11″ MBP with a 120GB SSD and no external drive, this thing could be a life saver. This entry was posted on Wednesday, May 16th, 2012 at 6:18 pm	and tagged with Mac software, Utilities and posted in Reviews. You can follow any responses to this entry through the RSS 2.0 feed.